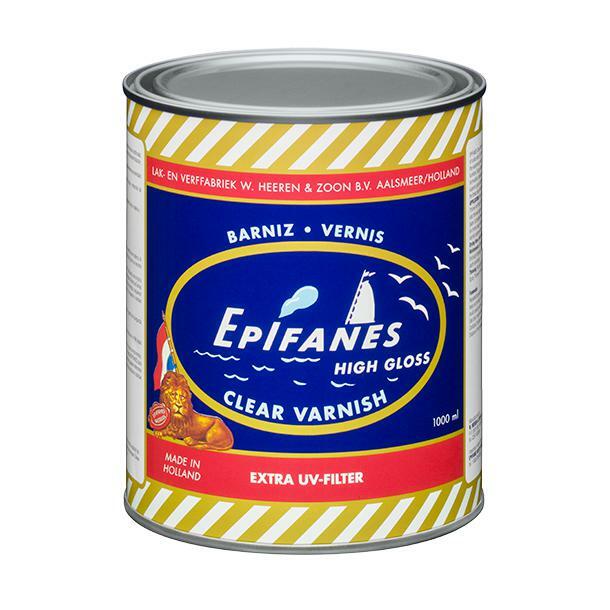 EPIFANES Clear High Gloss Varnish, known around the world, is considered the ultimate in a high gloss finish. 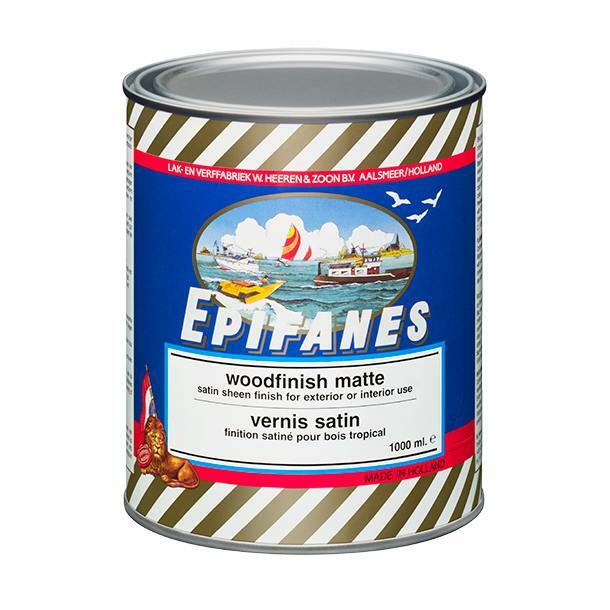 This traditional marine varnish is based on tung oil, phenolic-modified alkyd resins and maximum U.V. absorbers. It has outstanding protection for all marine and household woods and can be applied to interior and exterior woods above the waterline. It offers superior flow and durability in addition it has excellent flexibility and water resistance in all climate conditions. PRODUCT DESCRIPTION : A clear, high gloss, traditional yacht varnish, based on tung oil, phenolic-modified alkyd resins & maximum UV absorbers. Unique flow characteristics, high build capacity & excellent outdoor durability. Contains an extra UV filter protecting the wood against discoloration. Its flexibility prevents cracking on working wood. This varnish is famous for its high gloss retention and long lasting properties, even in tropical climates. 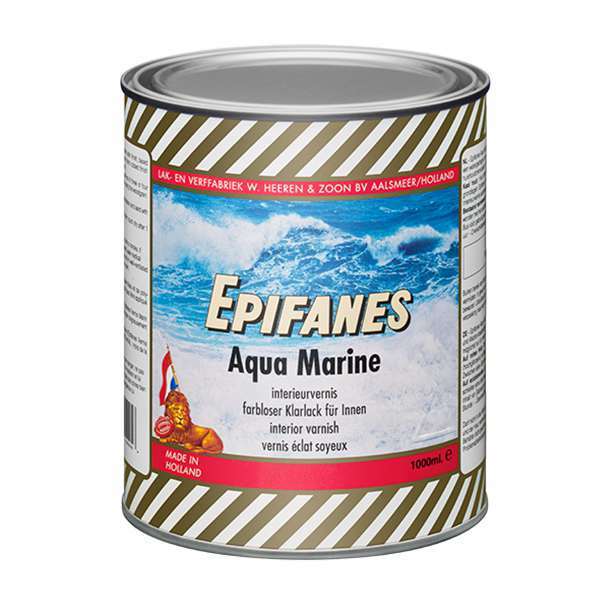 FIELD OF USE : For use on bare solid wood (mahogany,meranti,Oregon pine) & marine plywood both inside & outside above the waterline for fresh and salt water environments. Maintenance of intact one-and two-component varnish systems regardless of brand. THINNER : BRUSH-Epifanes Brushthinner for Paint & Varnish. 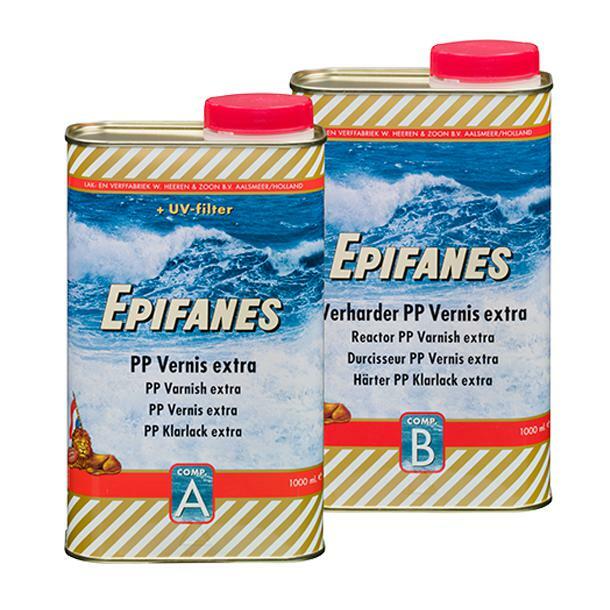 SPRAY-Epifanes Spraythinner for Paint & Varnish.RECOATABILITY : After 24 hours at 18 degrees celcius. COVERAGE : 1000ml is sufficient for 14 square metres/150 square feet @ 35 um dry filmthickness.